The Department of Environment (DoE), Govt. 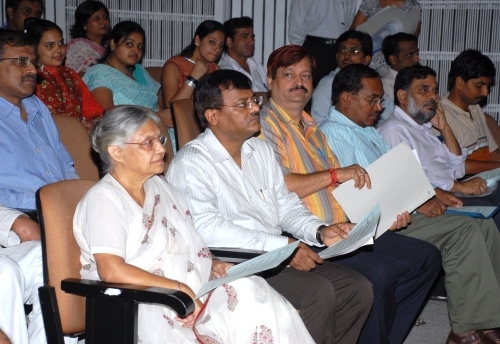 of NCT of Delhi will be observing the 16th of September, 2010 as the World Ozone Day with various activities. A workshop on the subject is proposed to be held in the Auditorium of the Delhi Secretariat at IP Estate. All Eco-club in-charges are invited to attend and participate in the workshop along with two students from each Eco-club school. All participating schools should confirm their participation to Dr. B.C. Sabata, SSO, DoE, Delhi Govt. at 9717593506. The theme for the World Ozone Day 2010 is “Ozone layer protection: governance and compliance at their best”. Discovery of the Ozone Hole: In 1985, the British Antarctic Survey (BAS) discovered a spring-time depletion of the ozone layer above Antarctica. The discovery was first announced in a paper by Joe Farman, Brian Gardiner and Jonathan Shanklin in Nature and was later worked upon by NASA to state the whole of Antarctic was affected. This was alarming as a depleted ozone layer was then allowing harmful ultraviolet rays to enter the Earth’s atmosphere and cause harm to all life forms. Ultraviolet radiations are absorbed by the body’s DNA leading to malfunction and even death of individuals. It was later known that the ozone hole could be a result of the use and release of Ozone Depleting Substances (ODS) by like Chlorofluorocarbons (CFCs) produced by the industries and used heavily by us. Montreal Protocol: Realizing this, on September 16, 1987, an International Treaty – the Montreal Protocol on Substances That Deplete the Ozone Layer came into being and worked to phase out the production of a number of substances believed to be responsible for ozone depletion. While the work of the Montreal Protocol is not done and much more remains to be accomplished before we can assure the protection of the ozone layer for this and future generations, the Parties to the Protocol have accomplished a great deal since the treaty was originally agreed. In 2009, the Montreal Protocol became the first United Nations treaty to achieve universal ratification, demonstrating the world’s commitment to ozone protection, and more broadly, to global environmental protection. Fighting Ozone depletion & Climate change benefits: The Montreal Protocol has also delivered substantial climate benefits. Because ozone depleting substances are also global warming/ greenhouse gases (GHGs), the reduction in ozone depleting substances between 1990, when they reached peak levels, and the year 2000 has yielded a net integrated reduction of approximately 25 billion tonnes of CO2 weighted global warming gases. These significant reductions make the Montreal Protocol one of the prime global contributors in the fight against global warming. 2010 phase-out milestone: On 1st January 2010, all the Parties to the Montreal Protocol phased-out the consumption and production of chlorofluorocarbons, halons, carbon tetrachloride and other fully hydrogenated ozone depleting substances. The fight against Ozone Hole is a story of hope, that when there would be a will the world would indeed come together to fight a crisis of global proportion. No wonder then that this is also how Al Gore ends his Climate Project Presentation, with hope and encouragement that the climate crisis too would be tackled successfully. Ozone pollution in the troposphere and its destruction in the stratosphere and all other air pollution is mainly the result of human activities. The small things you do every day can help reduce air pollution and hence improve the protection of the environment as well as human health. Emissions from automobiles is one of the main contributor of this in an urban setting like that of Delhi. Replacing a car ride for closer distances by walking or using the bicycle not only helps reduce traffic but also emissions. A good solution for longer journeys within the city is definitely public transport or carpool. Use the buses, auto rickshaws and the Delhi Metro. If you think the latter is getting too crowded for it is, demand better management and then begin using it. Don’t leave your electronic devices – TV sets, computers, DVDs on stand-by mode. Switch them off completely and you will save about 10 % of your electricity bill. Less electricity consumed means less power produced and fewer pollutants into the air from burning of fossil fuels.